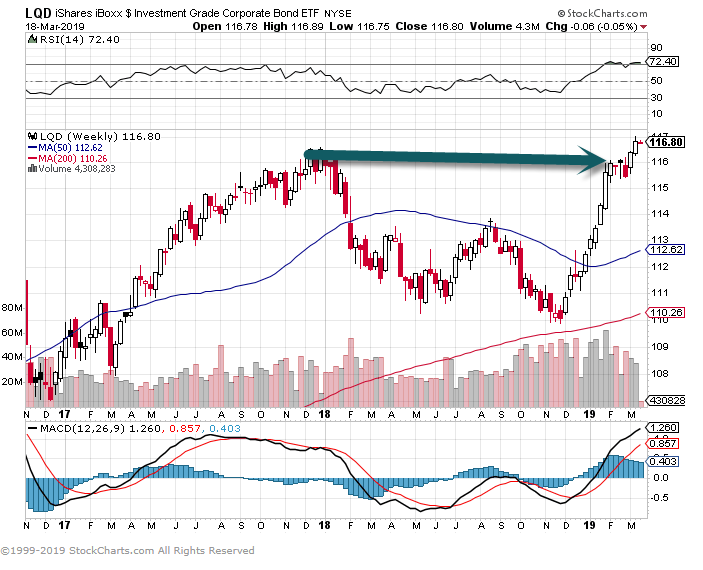 1.Some Asset Classes Hitting New Highs That Were Under Duress During FED Rate Raises. 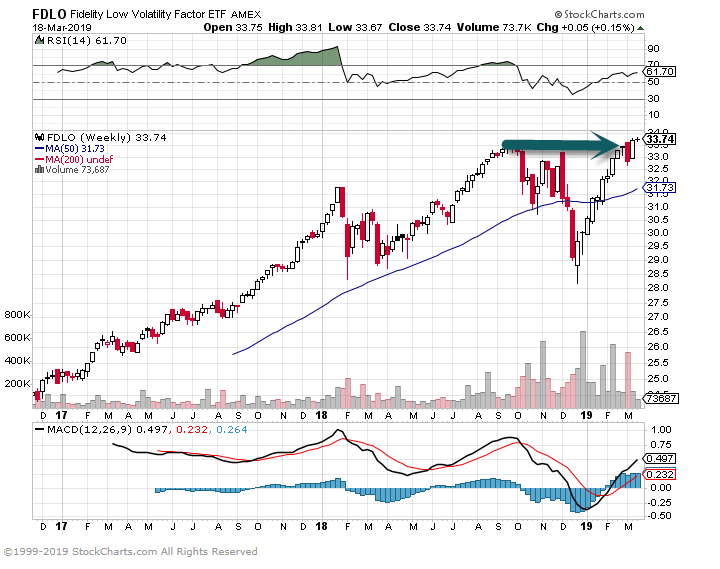 2.Equity New Highs…Dividend Leaders and Low Vol. 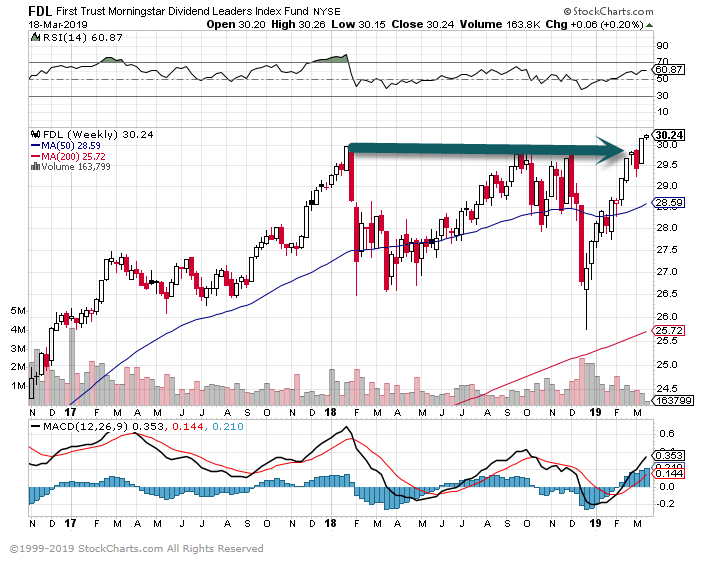 FDL-Dividend Leaders ETF New Highs. 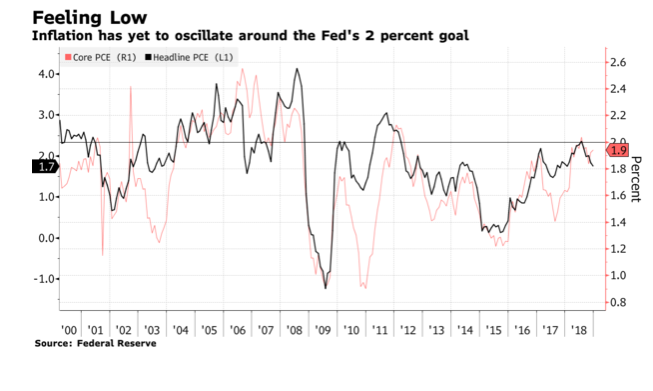 Regardless, there’s a real chance that price gains come in below 2 percent again this year, making it less likely that the Fed will achieve its symmetric inflation goal on a sustained basis this economic cycle — potentially bad news for the central bank’s inflation-stabilizing credibility. 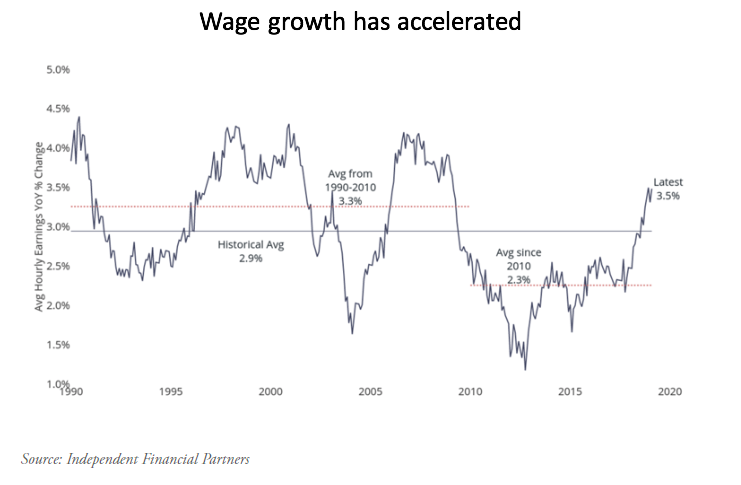 For instance, one statistic that is showing consistent signs of “good” inflationary growth is that of wages. According to the Bureau of Labor Statistics, average hourly earnings are up 3.5% from a year ago. 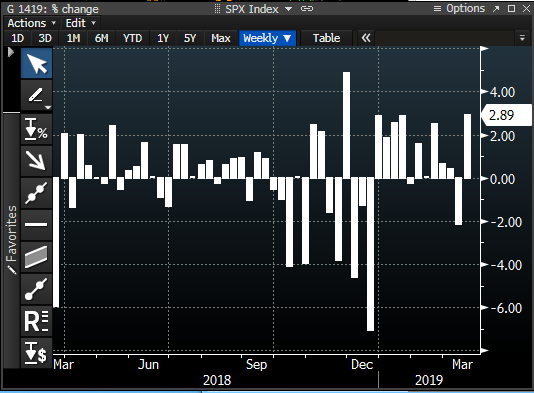 This is the fastest growth rate in earnings during this cycle, and well above the average annualized growth rate of 2.3%. Perhaps this data point is inflationary, but is it a problem if consumers are earning more money and is it something that the Federal Reserve should tighten the reins on? In our view, no, it is a healthy type of inflation. If it eventually leads to a broad uptick in prices for goods and services, then the Fed can tighten rates in response at that point in time, rather than trying to pre-empt it. 6.2017 82,250 Jobs Reshored Back to U.S. 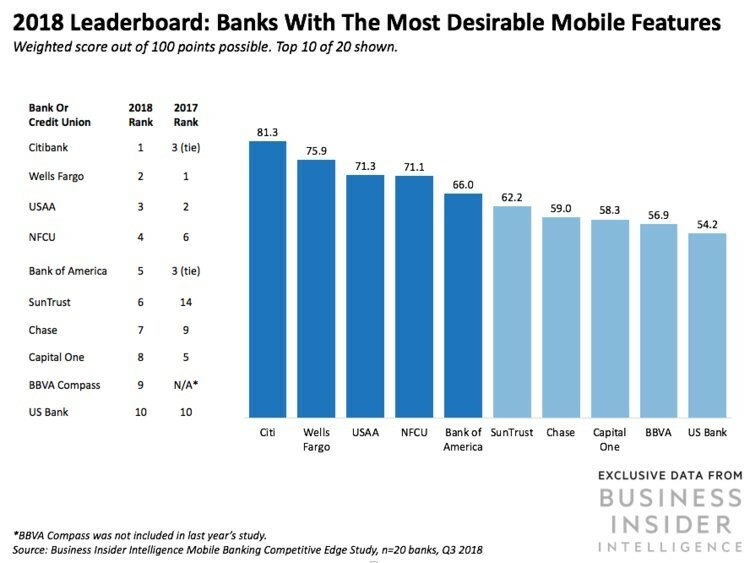 In Business Insider Intelligence’s second annual Mobile Banking Competitive Edge study, 64% of mobile banking users said that they would research a bank’s mobile banking capabilities before opening an account with them. And 61% said that they would switch banks if their bank offered a poor mobile banking experience. 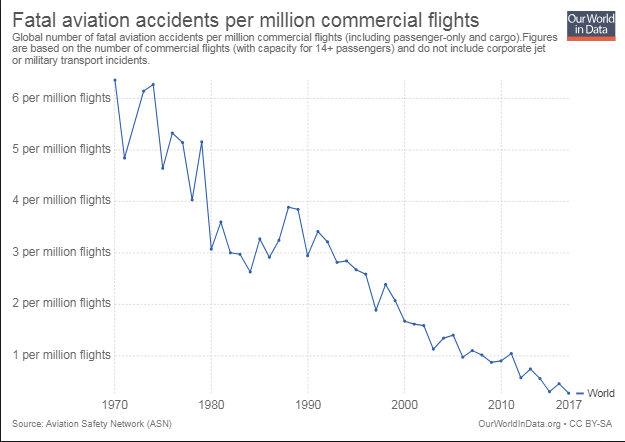 8.Plummeting Aviation Accidents…2017 was Record Low for Fatalities. Recently, some rich people and well-known celebrities got caughtcheating to get their kids into elite universities. They bribed sportscoaches, cheated the SAT, and fabricated phony credentials. Beyond the scams of the rich and famous, though, there are other surprising facts about college in America. Facts closer to our everyday experiences. Here are five. 4 out of 10 college students fail to complete their degrees. According to researchfrom the National Student Clearinghouse Research Center, only 58-percent of students manage to complete their degree programs within six years. Bill Gates has called this figure “tragic.” He has written, “Based on the latest college completion trends, only about half of all those students will leave college with a diploma. The rest — most of them low-income, first-generation, and minority students — will not finish a degree. They’ll drop out.” Sadly, community college figures are even more dismal. A recent studyin California found that 70-percent of community college students fail out. Attending an elite university doesn’tboost income. What matters is the ability to get in. Economists Stacy Dale and Alan B. Krueger looked at two groups, totaling about 19,000 students. One group gained admission into elite universities, attended, and graduated. Another group also gained admission to elite universities. But this group, rather than attending the elite schools, chose to attend less selective schools instead. More than 20 years after they graduated, Dale and Krueger measured their incomes. They found no difference. A student who got into Princeton but attended Penn State made as much as a student who got into, and attended, Princeton. Graduating from a non-selective college doesn’t boost income. In a bookabout social class in America, researchers looked at how differently ranked colleges affected earnings. They found that students who attended the country’s most elite institutions earned about 84-percent more on average compared to those who had not graduated from college. Graduates of “somewhat selective” private colleges and “leading state universities” earned about 52-percent more than non-graduates. However, they found “no income advantage” for those who graduated from a “nonselective” college compared to those who did not attend college. A person with average academic ability has a higher than 50-percent chance of dropping out of college. For the general population, the average IQ score is 100. Research has foundthat, among white American college students, those with a 105 IQ score have a 50-percent chance of dropping out of college. They also report that the average IQ of a college graduate is about 114. But they also show that having a high IQ is no guarantee of graduating. Those who score 130 (very rare; about 2-percent of the population) still have a 10-percent dropout rate. The economist Bryan Caplan has written a provocative book titled The Case Against Education. According to Caplan, the value of college isn’t in what you learn. It’s in getting the degree. “Teachers have a foolproof way to make their students cheer: cancel class…such jubilation is bizarre. Since you go to school to acquire skills, a teacher who cancels class rips you off.” Unless the purpose of attending college isn’t to obtain skills. Maybe the purpose is actually just to obtain the degree. Or, suppose you had a choice: attend college for 4 years, gain the skills, but have no degree at the end. Or get a degree right now, fully accredited, but not attend a single class. Caplan would not be surprised if you selected the second option. This suggests that education is less valuable than a degree. 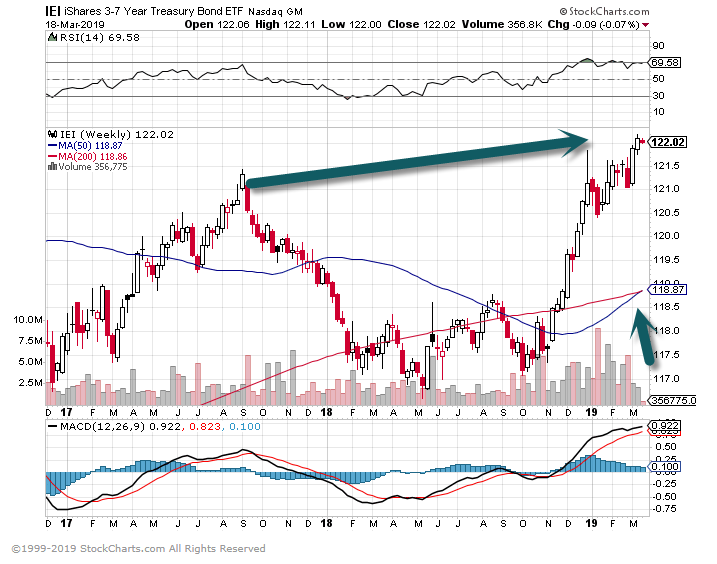 At least for earnings. In sum, there are many odd facts about college that upset our commonly held assumptions. 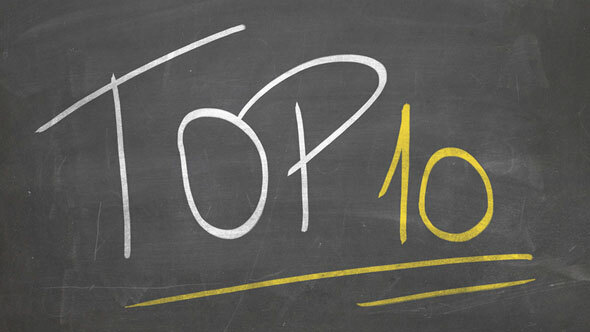 Before you pursue a new educational goal, it is worth looking into these research findings.